When I started dancing my junior year of high school, I would’ve never thought I’d be where I am today. At first, I only took a dance class in high school because I needed an elective. When I saw my friends who could dance, train, I knew I wanted to be as good as them. After a few months I decided to dance recreationally at PowerUp Dance Center. I used to have to pay for my own dance classes because my mom wasn’t too thrilled of the idea of her son being in ballet. It was actually pretty hard for a while because I knew she was so apprehensive. Thankfully she’s now seen how much I enjoy dancing and how far I’ve come with it. I started out in jazz but eventually took lyrical and knew I had to continue dancing. Eventually I was offered a free intensive at Stars Studio and ended up being offered a spot on their competition team. By my senior year I was a dance company member for Performing and Visual Arts Program at Annapolis High School. After a falling out, I joined Spotlight Studio of Dance, where I proudly call home. Under the direction of Wyndee McGovern, I was able to push everything I knew and grow. Once I came to VCU as an Illustration major, I knew I needed to continue my dance training. 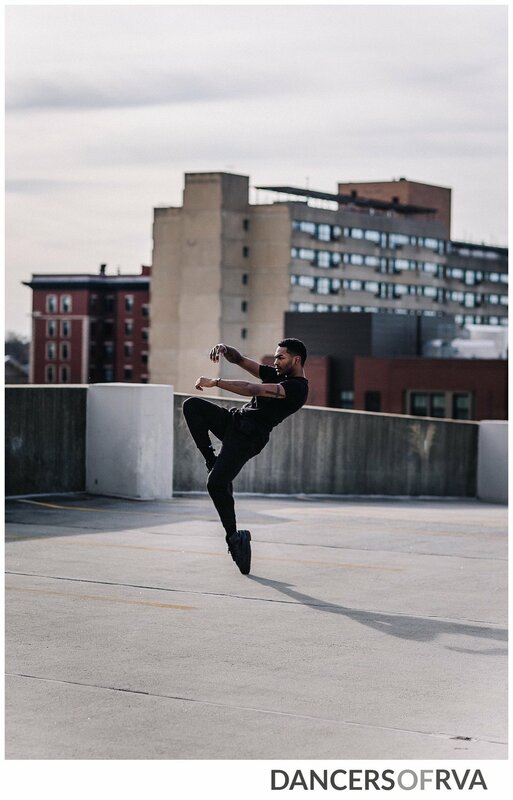 I started taking classes with Krash Dance, directed by Kelly Hamlin, and was offered a professional company member position for the following season. I’m incredibly thankful for the opportunities I’ve been presented and am now a proud trainee at Stavna Ballet, directed by Shannon McConville, soon to be company member. I’d like to show everyone that it’s never too late to go for what you want, especially in dance. If you’re willing to push yourself, see the vision and accept any opportunity, then you can succeed in anything. I dance because I want to show everyone that success can be achieved no matter how late you start something. My relative experience is something that’s always in the back of my mind and instead of letting it hinder me, I use it as a driving force to get better.